Here’s some self-indulgent melancholia (but hey! it ends on a high!) The story of my life as a singleton, every song here means something special to me and at one time or another seemed to be the most important song in the whole wide world. Each song here sends a little tingle down my spine whenever I hear it. Perhaps it takes me back to a good time or a sad time, or perhaps it reminds me of what I expect will happen next. It doesn’t really matter though: I know it’ll all be forgotten about in the end. This playlist is sometimes uplifting, sometimes bleak; often reflective and frequently deep. I hope you find it’s worth it for the few rare hearts you meet along the way. Enjoy the music, lovers. See you on the other side. 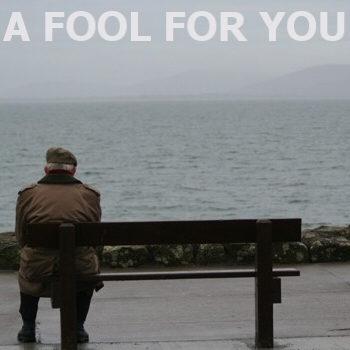 A Fool For You is dedicated to Gillian, May, Carole, and Carolyn.